We’ve nearly got our site! It’s been a long time coming, but ChaCo’s now within reach of acquiring a 2.5 acre plot of land from Leeds City Council. We first started looking for sites in 2010 and have since investigated half a dozen or more. Then in 2013 we concentrated our efforts on a large area of land on the southern edge of Chapeltown, adjoining a largely unused, fenced-off playing field. About a year ago, all our plans were put on hold when we discovered that the Council were thinking of building a new primary school just where we thought ChaCo would go. But after an agonisingly long wait for them to decide what they wanted, we now can start the negotiations – and we’ve been told that we have first refusal on the plot of land alongside the new school. It’s probably not the sort of environment that most cohousing groups would drool over: imagine the idyllic setting of Lancaster Cohousing, and then substitute a busy main road for the River Lune, and red brick terraces for the hills and woodland. Cap the whole thing off with a view of a filling station and the backs of light industrial units. But the redeeming feature is that this is Chapeltown, and we really want to do cohousing in our own community, rather than tear up roots and do it elsewhere. The biggest issue at the moment is whether or not the massive ex-Social Services building that fronts the main road gets demolished – or do we inherit it and do a refurbishment job? This is a particularly tricky decision for us, mainly because we don’t have the comparative costs of doing it up or starting from scratch. The new-build option on a cleared site would allow us to design exactly what we want and gives us maximum scope for setting the housing well back from the traffic noise, with parking to the front and a quieter garden to the rear. Retaining the 1930s frontage building, however, would mean that we’re guaranteed plenty of space for the common-house, storage, laundry, workshop, playroom etc. And we’d still have room in there for about half of our 25 private units – and maybe a local community centre too! Keeping the old building is a riskier option, but the structure and roof appear sound. For a group like ours, where few of the members will have capital to invest, this might just be the magic ingredient that makes all the sums add up. It’s a very exciting stage of our development and the stakes are high. 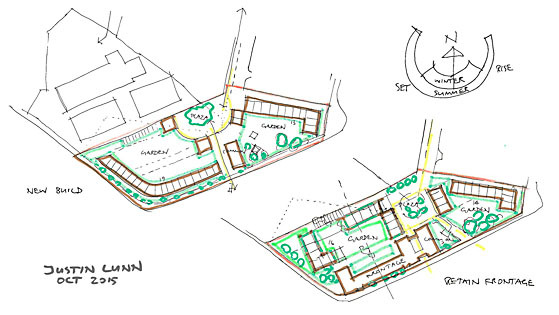 The next few months will determine the future shape of ChaCo and whether or not we can achieve our dream of an affordable and diverse cohousing scheme in an area that ranks high in the deprivation statistics but has such a rich and enduring appeal. 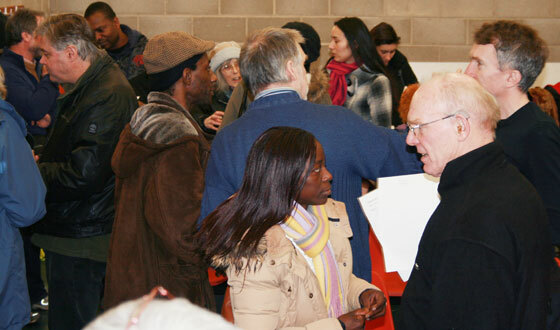 If you’re interested in finding out more, visit http://www.chapeltowncohousing.org.uk. Two-thirds of our units are reserved for people who already have a strong connection with Chapeltown, but we’re also keen to welcome newcomers to our neighbourhood. Do get in touch!